Yuri lifted the lifeless body of his daughter from the cold surface of the corridor. The warmth of Korah’s body forced a fresh flow of tears down Yuri’s moist face. He looked away from the face of his daughter as he carried her, not wanting the image of her bruised face to be etched in his mind forever. As he entered the base he was oblivious of the operation taking place within. Had he looked up, he would have noticed the distress that his eldest daughter was currently under. But he was completely numb to his surroundings as he headed for the Kata Minn with a dreadful duty to perform. Simon immediately raised his hand, calling on his commander to halt the assault on the Satcha. Yuri stumbled under the weight of his daughter and under the weight of his profound despair. Simon gestured toward his guards to assist Yuri, but Yuri shook them off as they tried to take the body of his precious daughter from his arms. Simon watched as Yuri reached the Kata Minn and as he began to ascend the ramp, he heard a wild scream. Mura descended the ramp and grabbed for her daughter. Yuri would not release her as he entered the ship out of Simon’s sight. The hatch of the Kata Minn closed behind them. The Satcha reached the base entrance gate just as the massive doors closed to them. The ship hovered near the entrance as if waiting for the doors to reopen. “Through the Idin passage,” Anya replied. “Through the what,” Jason asked as he wiped away sweat from his eyes. “Through the passage, there,” Anya released her harness, rose from her seat and pointed to a huge circular opening near the hangar bay’s surface. “I see it,” Kore exclaimed excitedly. Jason set the Satcha's engines to full, and steered the ship downward. The Satcha dove quickly and directly for the Passage gate. Simon watched as the Satcha dived. He followed the ship’s trajectory toward the Passage. One of the deck officers immediately ran over to Simon. “They’re heading for the Passage,” the Officer shouted. “See to it commander,” Simon ordered as the Satcha flew past his position. The commander immediately spoke into his comm device. Shortly after, a dozen men darted from multiple locations toward docked fighters in the hangar bay. They were quickly up the ladders and through the hatches and immediately began lifting off. “We need them alive," Simon dictated, "do whatever you have to do to disable that ship,” he demanded as he walked past his commander. The Satcha entered through the gate and into the passage and was immediately pursued by a dozen imperial Gnat fighters. Simon watched with satisfaction as the Gnat fighters raced through the gate. “Prepare my ship,” he called to one of his guards. He turned back towards his commander. “Send for the garrison.” As Simon strode away his attention was diverted as the Kata Minn’s engines roared to life, rose and entered the Idin passage. Blood oozed from Teric’s injured hand, causing the hilt of his sword to slip within his grip. He slowly stepped back, ripping a strip of cloth from his tunic and began wrapping the cloth around his injured hand. Teric never took his eyes off of the approaching Kausacks as they paused periodically, removing bits of clothing, dropping them to the floor, revealing a suit of armor skins. The Kausacks unencumbered by their ceremonial garb began to quicken their pace toward Teric. Teric studied his approaching opponents with a sense of admiration as he sensed no immediate weakness in their approach. He observed the balance of their movements, the gait in their step, the grip of the hilt of their sword, the angle of the sword in their hand. He watched the movement of their heads, the balance of their frame in every step, the strength in their stature. He observed their sinewy frame, their muscles rippling with each movement. A closer observation of these creatures repulsed Teric. Their faces were severely carved, physically mutilated with some ancient rune, to intimidate, to give them the appearance of some mythical wraith. Their dark sunken eyes were fixed on Teric as intently as his were fixed on them. Teric endeavored to employ a counter form to use against his opponents however, he was unable to identify the form of attack, if any, that the Kausacks were taking. He settled into a defensive posture until he was able to detect a weakness in their form. The Kausacks walked abreast of each other in the narrow hallway, but once they entered the wider corridor they began to separate from each other. Teric immediately sensed from their approach the tactic that they were endeavoring to form against him. He immediately began to step backward down the corridor. His plan was to reach the next hallway and back into it in order to force the Kausacks to stay in front of him due to the narrowness of the hall. The flaw in his plan however, was that it would take some time to reach the next hallway, so, until then, he had to prevent the Kausacks from getting around him, from maneuvering him into that vulnerable position. The pace of the Kausacks quickened into a run as they continued to spread out. Teric halted and gripped the hilt of his sword tightly, as he set into a high attack stance with his sword tilted upward in front as he balanced himself. The approaching Kausacks slowed their forward pace as Teric halted his retreat. As if in sync both Kausacks swung their long blades, crisscrossing them in front of themselves as they settled into a close stance, both holding their swords on their right. As the Kausacks advanced, widening the distance between themselves in an effort to encircle Teric, Teric maintained his stance but began to back pedal with each advancing step of the Kausacks. He began to move to his right, morphing into an inside stance with his sword straight out at shoulder level as the Kausacks tried to close the gap to within striking distance. Teric then quickly moved to his left to counter the advance of the Kausack on his left who attempted to lunge within his strike zone. While Teric was on guard at his left the other Kausack lunged on his right. This deadly dance continued for some time as the combatants took measure of each other. Teric, mindful to the danger of having to defend from a frontal and rear attack, kept the Kausacks before him as he back peddled for the narrow hallway that would aid in his defense. He tried to assess which of the two was the stronger and which appeared to be the weaker. He did notice a definite height advantage to the Kausack attacking at his left, which may not have been a height advantage at all, for the other Kausack that appeared to be shorter, was only so, due to the hunch with which he walked. The taller, whom Teric branded as the centauri, seemed to be the bolder of the two, the more skillful, for when Teric lunged toward the centauri, the centauri gave no ground, but instead brandished his sword for defense, yet with the shorter Kausack, whom Teric labeled the goblin, he too would brandish his sword at Teric's lunge, except, the goblin would take a slight step back. Teric sensed from that, that the goblin was the weaker of the two. Their attacking styles were similar; however, their tactics were different. The centauri’s attacks were low while the goblin’s attacks were high, which caused Teric to defend a wider area, from low to high as he defended from the centauri to the goblin. This also posed a danger in Teric's defense, for with a quick switch in tactic, he could be caught defending a high attack out of expectation, only to be met with an unexpected low blow. With that knowledge and the narrow hallway not in sight, he began to calculate a strategy that would allow him to engage the weaker Kausack in a quick attack, while maneuvering him to become a barrier to the stronger Kausack. Waves of heat emitted from the Satcha’s engines as they roared to near capacity. A dozen Gnat fighters were in close pursuit avoiding the Satcha’s wake while igniting a barrage of laserfire across the ship’s bow. Meant as a warning, several of the Gnat fighter’s bolts hit the ship’s shield as the Satcha mistakenly maneuvered into the line of fire, due to its erratic flight pattern. “You have to slow down,” Anya ordered after being slammed into her seat. Kore and Wilhelm turned with confused looks toward Anya. Jason was too occupied with piloting through the turbulence to respond to Anya’s objection. The sensitivity of the control yoke at higher speeds made it difficult to steer the ship smoothly. “They’re not going to kill us,” Anya replied as another laser connected with the ship’s shield. “Do they know that,” Kore added after being rocked in his seat. “They’re not going to kill us, they want us alive.” Anya quickly unfastened her harness and rose with some difficulty, walking a few steps toward Jason. Anya was finding it difficult to stand due to the violent turbulence within the ship. Jason was losing control of the ship as he repeatedly overcompensated in his adjustments to the Satcha's flight pattern. The Satcha, banked a hard left, nearly spinning as Jason fought for control. Anya was thrown into Jason but managed to quickly get out of his way with some assistance from Kore, who grabbed her clothing, preventing her from falling over Jason's chair. "Slow it down," Anya yelled. “You should sit back down,” Jason demanded as he began to reduce the Satcha’s acceleration. Anya reached her seat and put on her harness. “Are you alright,” Wilhelm asked as he reached for her hand. “I’m alright, he’s going to kill us,” she replied still shaken. In a blur, Teric shifted quickly to his right. The sudden and unexpected move caused a momentary pause in the Kausacks advance. Noting the reaction of his adversaries, Teric took advantage, shifting again to his right, essentially maneuvering the goblin between himself and the centauri. With just one target before him, Teric advanced on the goblin like a madman, with both hands on the hilt, he lifted his sword high and brought it down hard against the goblin's sword. The clang of the swords, echoing throughout the corridor, caused a stinging pain through Teric’s injured hand, but he ignored it. He pressed down hard against the goblin's sword, locking it in his cross guard and shifting the goblin around to block the approach of the centauri. As the goblin seemed to give way under the pressure, Teric kicked him, sending him backward into his companion. Teric then quickly raised his sword and sliced right, connecting with the goblin's arm as he tried to defend himself, the strike grazed the goblin's arm enough to draw blood. The centauri shoved his companion to the side and advanced on Teric in a blinding series of strikes. His attack was intense as he hacked and slashed without letup. Teric had time only to parry every strike upon him, absorbing every blow as the pain shot through his hand and through his arm. Teric sensed the core wall behind him as he backed up. At the centauri's next strike Teric ducked instead of parrying the blow. The centauri's sword clanged against the wall leaving a mark upon it. From his lowered position Teric thrusted his sword upward nearly piercing the centauri who quickly backed away parrying Teric strike to his left. By this time the goblin recovered and lunged into Teric's unguarded right, slashing at his side and connecting. Teric tried unsuccessfully to jumped out of the way, backing into the core wall. He dashed quickly to his right out of the strike zone of the Kausacks. Winded, he touched his side, not because of the pain but he wanted to verify if his membrane armor was still intact. There was no blood, but his side was very painful to the touch. The Kausacks watched Teric as they spoke with one another. Then they advanced on him. The centauri was on the right and the goblin was on the left. As they reached Teric, the centauri's sword went high and the goblin's sword went low. Teric advanced and began running. He leapt into the air high, avoiding the goblin's blade, he swung his blade upward parrying the centauri's strike, kicking both Kausacks hard into the chest knocking them backward to the ground. Teric landed on his feet in a defensive stance. As the Kausacks rose from the ground, they were clearly incensed and began speaking angrily toward one another while breathing heavily from open mouths. Teric could now sense weaknesses in both his adversaries, and with both hands on the hilt he lifted his sword and began to advance. The centauri reached into a small pouch at his waist and pulled out a chain with a sharp blade at the end. With one hand on his sword he began spinning the chain with the blade at the end. The high pitch sound of the chain was deafening. Teric took the centauri's addition of a new weapon as an acknowledgement that Teric's skills were superior to his. Teric smiled and advanced on them. Two Gnat fighter’s broke formation with their squadron and zoomed past the Satcha. Having reduced her speed, the pursuing fighters were now in closer range to the craft. The agility of the Gnats allowed them to move in dangerously close to the Satcha. Jason immediately regretted complying with Anya’s demand to reduce the Satcha’s speed even though he now had better control over the ship. “I don’t think it was a good idea to reduce our speed,” Jason bellowed as he viewed two fighters racing ahead of them. Just then the Gnat fighter flanking the Satcha’s left, lowered itself as if it was landing, until it came into contact with the Satcha’s hull scraping along its length, sparking as it penetrated the ship’s shield. The metal on metal screech alarmed the Satcha’s occupants as well as the ship’s console panel. Jason dropped altitude away from the fighter bringing relief to the Satcha’s cockpit, human and electronic. “There should be a gate coming up on the right, take it,” Anya screamed. Immediately the gate and its connecting passage came into view. It was so close however that Jason didn’t think he could make the right turn at their current speed. Jason committed to the turn, and held fast against the resistance in the yoke, while straining the ship’s inertial compensator, the weight of the maneuver pressed everyone into their seats. The maneuver was unexpected by the pursuing fighters as half of the Gnats that were closest to the Satcha’s starboard side were unable to make the sharp turn without colliding into the ship, so they continued down the original passage. As the Satcha turned and drifted near the gate, it narrowed the space that the Gnat fighter above its hull, had to maneuver. Attempting to escape the narrowing gap, the Gnat fighter tried to arc up, however, the attempt was unsuccessful as it crashed, exploding into the gate. The Satcha made the turn but not without scraping against the passage wall and emitting sparks. Now pursued by seven of the remaining Gnats, Jason pushed the ship’s acceleration increasing the gap between it and the pursuing fighters. “That was close,” Kore said relieved. “We’re not out of it yet,” Jason replied. “We’re going to come up on another turn, left this time. And it won’t be a passage but a natural tunnel, the Valgo Tunnel, so I hope you’re a good pilot,” Anya advised. “Why, what’s the difference,” Kore asked. “Then why are we taking it,” Kore objected. “It’s the best way to lose a few of our pursuers,” Anya replied, “if we survive the attempt,” she said half under her breath. By the time Teric reached the Kausacks zone of attack he had calculated a strategy based on the centauri's revealed weakness. Wild uncontrolled swings by the centauri followed by swipes from the chain missed the mark. The weakened attack from the centauri allowed Teric to mentally concentrate on the goblin’s attack. While he parried the centauri's sword and dodged the chain, he struck against the goblin backing him up with each blow. The centauri's chain managed to wrap around Teric’s sword. The centauri pulled the chain trying to maneuver Teric within range of his sword. The goblin tried taking advantage and lunged toward Teric. With all his strength Teric pulled against the hold on his sword. He was able to pull the chain from the centauri's hand. The goblin raised his sword to strike, however with the momentum of Teric's pull, his sword struck across the midsection of the Goblin just enough to slice into the goblin’s belly, spilling its content. The Goblin dropped to his knees as the centauri came to the aid of his companion. Teric watched as the centauri helped his companion to his feet. The Goblin managed to stand while nursing his injury with his left arm. He lifted his sword in defiance. They charged Teric, running to his right and left. The Kausacks had managed to outflanked Teric and were bearing down on him. Teric was not alarmed by the situation as he would have been before injuring the goblin. The injury caused a noticeable reaction in the creature as he hobbled toward Teric. In fact, Teric turned his back toward the goblin, raising his sword in an attack stance toward the centauri and then he advanced. The clang of the swords meeting was large and produced sparks that danced to the ground. Teric kicked hard against the centauri's stomach pushing him back out of striking range. Teric quickly spun around meeting the goblin’s sword. He drove the goblin’s sword downward with all his might shifting around him in time to escape the centaur’s strike which nearly struck his companion. The centauri quickly withdrew his sword stepping back. As the goblin tried to lift his sword Teric twisted his blade and brought it down on the goblin’s wrist slicing off his hand which fell with a thud and clang as the sword remained gripped in the severed hand. The maneuver had been so fast that for a split second the goblin had not noticed that his hand was missing, he quickly rose his handless limb to strike at Teric but blood poured from it. The goblin fell to the ground in an effort to retrieve the sword from his severed right hand. Teric for the first time noticed shock in the face of the centauri, who approached his companion and lifted him after the goblin secured his sword in his left hand. Teric had stepped back far out of reach with his sword pointed down at his side. Continuous laser fire sprayed from the pursuing Gnat fighters as they pounded the Satcha’s aft shields. “Divert all batteries to the aft shields,” Anya called out. Kore examined the console and located the shield controls and adjusted power so that the aft shields were set to one hundred percent. “Were nearing the Valgo entrance, you’re going to need to reduce your speed,” Anya warned. There was no acknowledgement by either Jasen or Kore. She started to repeat her warning. “Have you traveled through the Valgo before,” Wilhelm interrupted. “Got it,” Jasen replied. He pulled back on the accelerator as the Valgo’s entrance came into view. The entrance was much smaller and rugged. He wasn’t sure if the Satcha would even make it through the entrance. As he reduced the Satcha’s speed by half to enter the Valgo, the pursuing Gnat fighters bombarded the hull, rocking the ship, prompting alarms and causing damage. “Equalize the shields,” Jasen yelled out. Kore obeyed and attended to the multiple blinking lights on the console. “Did we lose anything,” Jasen asked. 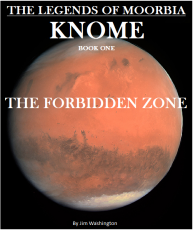 ‘No, we’re ok,” Kore replied as he clicked off the last warning indicator. “This is crazy,” Wilhelm added as he looked out of the view port into the Valgo tunnel. “He is,” Wilhelm said so unsure that Anya and Kore both turned to look at him. “I said lie to me,” Anya nervously replied. The tunnel was wide in some areas and narrow in others. There were jagged edges and crevasses that looked impossible to pass. As the Satcha entered, it was being pounded by the Gnat fighters that entered in after her. “Divert our shield aft,” Jasen ordered as he accelerated. “What are you doing,” Anya asked as she felt the Satcha accelerating. “We can’t maintain that speed and take that kind of pounding, they’ll break down our shields in no time,” Jason replied trying to convince Anya, and himself. Anya sat back without a word, she knew he was right, she closed her eyes. “I think we better equalize the shields instead, in case we hit something,” Kore added. “Yeah, you may be right. Do it,” Jason replied as he accelerated. The goblin held his sword awkwardly in his left hand as blood poured out of his severed wrist. The centauri's eyes narrowed as he slowly approached Teric. Teric disregarded the goblin whose unsteady approach would serve as only a distraction and not a challenge. It was the centauri who would demand all of Teric’s skill. Teric lifted his sword as the pair approached. The goblin attacked first, lunging with his left, falling short of his target. Teric stepped up striking the goblin’s sword. The force of Teric’s strike caused the goblin to be pulled by the momentum of his sword as it flew opposite of Teric and in the direction of the running centauri. The goblin’s sword halted the centauri's attack as he had to adjust to avoid its tip. Teric lunged toward the goblin’s right which was unprotected. The goblin tried hard to swing his sword back to parry Teric’s incoming strike but he was too late. The centauri's eyes widened as he could see what was about to happen. He made a quick leap to try to divert Teric’s attention and intention. Teric was now sliding on the spilt blood of the goblin as his sword was leveled out toward the goblin’s kidney. As Teric’s sword entered the goblin and touched his kidney, Teric withdrew the sword and swung it around toward the back of the goblin, who immediately spun with his sword, lunging toward Teric. He brought his sword down on Teric who caught the goblins sword in his cross guard. Teric shoved his sword toward the goblin and push so hard that the goblin’s own sword was pressed against his neck, and with a quick and powerful push to his left, Teric severed the goblins head from his body which collapsed immediately to the ground. As the centauri reached him, Teric parried the Kausacks downstroke while stepping back and sticking out his foot, he tripped the centauri who fell to the ground into the blood of his companion. The centauri rose with a blood curdling scream. He was immediately on the attack striking out aimlessly as he tried to overwhelm Teric with blinding speed. Teric was finding it hard to defend the Kausacks erratic attack. But he also knew that in such a tactic there would come an opening. He continued to parry and duck to move left, to move right, to step back. He had no time to plan an attack. It seemed to go on forever, and even when he tried to jump out of the Kausacks range, the centauri would meet him with a flurry of blows. As the Kausack moved, Teric felt the drips of his sweat. The centauri grunted and exhaled loudly. Although the ferocity of his strikes continued, the force behind his blows were weaker. Teric now had time to strategize and he did. He sensed that his moment was coming and now his parries were more than defensive, he began to put distance between the centauri's strikes, as with the force of his parries he drove the centauri's sword back further and further. Soon it was Teric who was on the offensive, although he was still back pedaling. Teric could see the worry forming on the forehead of the centauri. Teric held fast and did not backpedal as the centauri crashed into him, their swords meeting, both fighting to gain the advantage. Teric could feel his advantage over the Kausack and he peered into the eyes of his adversary. While locked in the struggle Teric placed his right foot behind the left foot of the Kausack, pushing against him so that the centauri began to fall backward. As the centauri began to flail in reaction, Teric lunged, piercing the Kausack as he fell down to the ground, dropping his sword. Teric walked over to the fallen sword, picked it up and flung it down the hall. Teric watched the Kausack writhed on the ground, until, he moved no longer. Teric leaned against the wall as a wave of exhaustion engulfed him. He remained there for some time. Then suddenly, he looked at his time piece and began to run down the hall. The Valgo tunnel was much narrower than Anya remembered. She along with the rest of the occupants of the Satcha’s cockpit, barring Jason who was laboriously occupied with steering the ship, were reflexively ducking and dodging in their seats along with the Satcha as it maneuvered up, down, left and right, avoiding the rocky edges and narrow crevasses of the tunnel. At the same time the pursuing Gnat fighters blasted the Satcha’s stern breaking down its aft shield to critical levels. “We need to transfer power to our aft shields or we’re dead,” Kore called out. “Do it,” Jason said unsure. He realized that the shift was necessary, however while navigating the Satcha as best he could, the ship did not escape scrapes against the edges in the tunnel. The shields up till now have provided protection against significant damage. Actually, everyone in the cockpit was aware of the danger of reducing the forward shields. Jason had been engaging in a strategy of flying directly toward a wall or some object, avoiding the object just in time in an effort to cause their pursuers to crash. However, it wasn’t working, while, at the same time putting the Satcha and its crew in greater danger. The pursuing Gnat fighters matched the Satcha’s maneuvers while pummeling the stern’s shields reaching its hull for the first time. Lights and sirens began flashing within the cockpit. “There go are shields,” Kore yelled. “Divert whatever we have to the aft shields,” Jasen replied. “You’ll have to cease this strategy,” Anya advised. Jasen complied and as he did, they exited the tunnel and entered into the Valgo Cavern. Within the spacious cavern, Jasen pushed the Satcha’s engines hard, accelerating and putting distance between them and the pursuing fighters. The bodies of the Emperor’s elite troops littered the corridor. Bothan starred in disbelief as he inspected the carnage. The number of soldiers lining the floor seemed endless. Bothan stepped over numerous bodies, noting the laser scarring along the walls, ceiling and floor. The half a dozen shock troops that accompanied him were likewise astounded by the slaughter. As they continued down the corridor, Bothan was stopped in his tracks by what he saw just ahead. He was mystified by what he saw, in his mind he denied it, and stepped forward hoping to confirm his disbelief. Bothan looked down on the bodies of his most advanced disciples. His Kausacks. He stooped down, lifting the severed head of his Kausack. He uttered a name too imperceptible for anyone to hear. He stood still holding the head when he located the body of his most devoted mentee. Bothan dropped the head, as a strong desire for vengeance flooded his being. He searched the corridor for answers, for clues. And then he saw it. Blood prints.